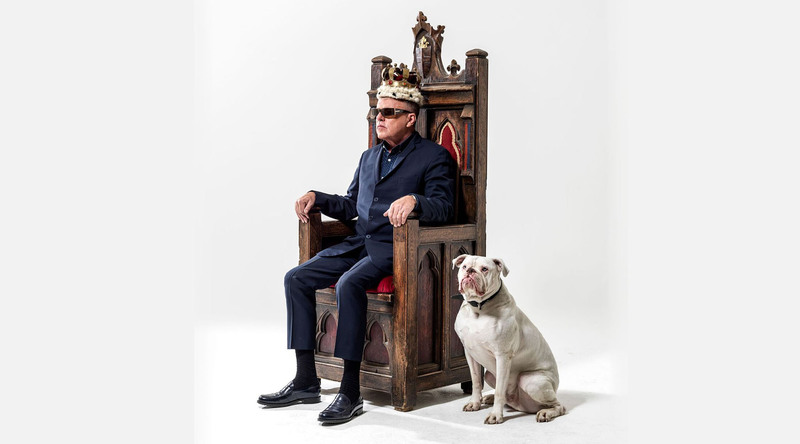 Just when you thought Suggs’s solo touring had come to an end, we learned this week that a torrent of new performances had now been booked to run throughout October and November. If you’ve yet to see the great man perform his King Cnut show then here’s your chance. The shows taken in the length and breadth of the United Kingdom, so there should be a performance taking place not too far from where you live. Check out the Suggs section of “Showtimes” for the full rundown of dates. 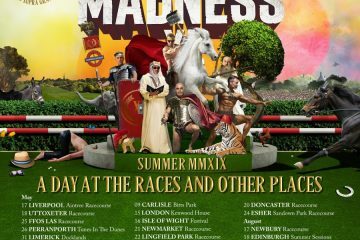 Don’t forget that before Suggs’s new tour takes place we have The Stately Madness Tour, which kicks off on Friday 6th July. With so many Madness and Suggs dates planned for the rest of the year, you could potentially attend a Madness and/or Suggs gig every month for the rest of 2018! Before all that though is the forthcoming Silencerz album launch on Saturday 16th June. Check out “Showtimes” for the details. The near Jazz Experience Album – Float is coming out on Cassette! The 8 tracks on cassette album, comes with a download code, a badge and free beermat! In a round tin design by artist Hamish Black. Important – The release date for this disc was 2nd March 2018, and copies have not yet been shipped. If you’ve yet to place an order we recommend you hold off parting with your money until news of copies arriving with those who’ve already ordered start to surface. Director Julien Temple (The Great Rock n Roll Swindle, Absolute Beginners) takes a stage show, adds some drama, archive, animation and music, then shakes it all up for MY LIFE STORY where Suggs, takes a hilarious, yet moving, look back at his life in a musical form. Is it a drama? Is it a comedy? Or a music hall dream? Whatever it is hold on to your seats as Suggs goes on to stumble and plummet through the trap door of failure; then trampoline back up to catch the passing trapeze of show business success. Tour merchandise has now been added to Suggs’ online store. £9.95. Limited to 250 copies. A5 paperback photo-zine. 36 pages. 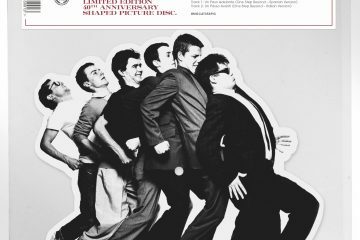 Hanging Around Books’ tenth release (HA010), “Kimono Our House: Madness In Japan 1982” features rare and previously unseen photographs of the Nutty Boys taken by Andre Csillag at various locations during the band’s 1982 tour of Japan. Lee Thompson’s One Man’s Madness soundtrack album is out now. We recently ran a competition in MIS and on facebook to win a copy of the album. That competition is now closed. We will announce the winner in our 1000th issue of MIS online, on Sunday July 8th in five weeks time, and there will be a twist. “Sat in the World’s End Pub, Camden town, I was reading through a free magazine, which was handed to me outside the pub. Whilst reading I had to do a double take… ‘The Nutty Boys to release new album Crunch! The article mentioned that all original songs were written by Thompson and Foreman except Magic Carpet. This track was written by McPherson, Thompson and Foreman. Later that year on New Years eve 1990 The Nutty Boys were having ‘New Years Eve Party Madness’ at ‘The Robey’, Finsbury Park… I’m definitely going I thought. I walked into the main bar of The Robey and Lee and Chris were in there relaxing, I bought both of them a drink. Chris thanked me for travelling all the way from Portsmouth. After a while they shook my hand and said they would see me in the gig. In the music venue Lee was walking around, he acknowledged me with a ‘thumbs up’ and then the madness began, a night I’ll never forget. ‘Overdone’ – Groovy Latin-ish rhythm with a great arrangement, fantastic break in the middle with the piano solo, extended sax solo at the end, and a poignant lyric. Great stuff. As a 10 year old I was blown away – still am. “Embarrassment is my favourite Madness song but I’m going to go for NW5 on this album. 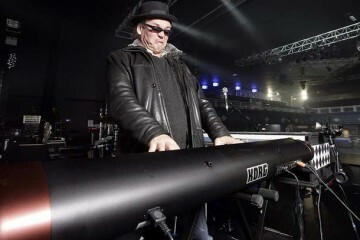 As always with Thommo there is a tale to tell and the feel good cheery sing a long lyrics disguise the demise of a close friend whose life went off the rails. Maybe it was a case of there but for the grace of God. Our Buy It section plugged the new limited edition colour vinyl reissue albums. These were 1,000 pressings of One Step Beyond (white), Absolutely (red), Complete Madness (red), Rise and Fall (red), 7 (yellow), and Keep Moving (blue). 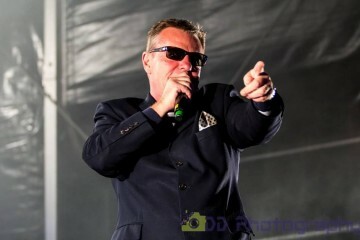 In our Sign of the Times we featured a Suggs interview he’d given the Wigan Today web site, and also pointed you in the direction of an hour long chat Mark Bedford and Terry Edwards gave to Resonance FM, which was now available to stream via Soundcloud. Also, in this section was a link to a nice BBC Radio 4 interview with Wilko Johnson. Wilko explained that although he didn’t want to tour any more he had been working on a new studio album, to be released later in the year. Before we finished with Sign of the Times we featured a Sunday Express review of the Benevolence of Sister Mary Ignatius, where the publication gave it a respectable 4 out of 5. Moving on to Tweets of a Dove, and Madness had just announced that the fancy dress theme for House of Fun had just been announced. What was it? Song titles. On to this week’s MIS Feature, and we covered the launch party of Sister Mary Ignatius at the Dublin Castle. We had links to various YouTube videos, and a huge review courtesy of our very own Jonathan Young. It must have taken him hours to put together! 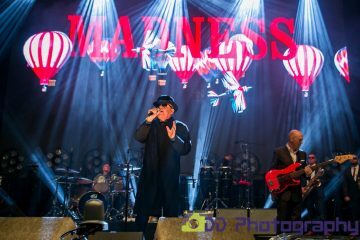 “The next fortnight sees a busy release schedule for Madness related product, which may or may not make some dent on the charts. First up sees the Lee Thompson Ska Orchestra release their debut album on Axe Attack. A fine appearance on Later With Jools Holland a couple of weeks ago will have done much to persuade punters to pre-order the CD from Amazon (or Sainsbury’s in my case as it was cheaper) and it currently sits at number 112 on iTunes on its first day available as a download. A promising start. Amazon also list it in their top 100, whilst it is number one in their reggae chart and their ska chart. If you’re going to buy The Benevolence Of Sister Mary Ignatius and you’re a chart fan make sure you buy it by Saturday! 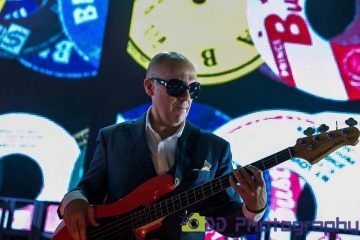 We brought this issue to a close with several YouTube video links from Woody, which he recorded while the band were rehearsing for the Olympics closing ceremony. With the Our House Musical being re-born since its original run at the Cambridge Theatre, subscriber Dicka was kind enough to pop along to the third preview performance and give readers a detailed lowdown on what he thought. Moving on, and it was over to Jonathan Young, who, after receiving a last-minute tip off detailing where the next Lee Thompson gig was due to take place journeyed off down the M1 to a pub in Finchley, called The Wishing Well. With two lengthy sets, and a great selection of tracks a good time was had by all. We continued the Lost Goods coverage further on in the issue, with yet another review from Jonathan Young – a different gig, I might add! This time the assembled crowd are treated to two sets and a whopping 7 track encore, climaxing in the legendary Baggy Trousers. New album rumours were the order of the next, as we re-printed what Spanish web site festivaleros.es were claiming to be the tracklisting for the forthcoming Liberty of Norton Folgate album. As the tracks had already been mentioned in various online articles we were of the opinion that the author had simple trawled the net and compiled his or her own list. Only time would tell! On to the Madchart, and with less than a month to go before this year’s deadline organizer Paul Muscat felt it was time to give the MIS readership a gentle reminder to get those votes in. Thanks for the stat-compiling efforts of Chris Carter-Pegg there were a massive 174 songs eligible for voting. Time to get those skates on! We brought this issue of the MIS to a close with a wonderful competition organized by the one and only Dicka. After having bagged a fully-signed Our House Musical poster he was offering you the chance to win it. What do you have to do? Simply tell him where your house was, so he could send it out. Simple. Following a flurry of news over the previous few weeks, and resulting packed MIS’, issue 212 was almost in wafer form compared to recent editions. 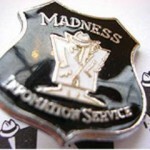 Despite warnings from Chris Carter-Pegg in the previous MIS informing us that the Madness gold disc on Ebay was not an official release, it would seem that some people just wouldn’t listen. By the time of the auction close, the disc went for 350UKP!! 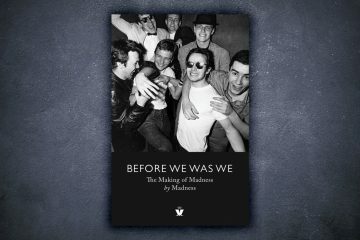 As Chris rightly said at the time, “Madness”, and we couldn’t have agreed more. Those of you who fancied getting yourselves some new clothes in time for the summer were well catered for, as this week Warrior Clothing announced they were running a happy hour. The scheme worked whereby any purchase made between 7:00pm and 8:00pm every day would see your order packed in with all manner of free goodies. One of the more amusing things to land this week was Lee Thompson’s banishment from the official Madness message board. After telling one fan to fork off, he suddenly found himself unable to post any further messages to the site. Following uproar from the fanbase, and a week where he couldn’t post anything at all, Chissy Boy relented, and returned his posting abilities. With news being thin on the ground this week, we took a look at forthcoming gigs for One Step Behind, 1st Step Below and Badness, before finishing the issue with an Ebay lowdown, highlighting some of the more unusual items currently on sale there. The Silencerz will be playing tracks from their brand new album live on Barnet Community Radio on the 7th June at 8pm. Make sure you tune in by visiting the BCR website, or why not download the new BCR app from the IOS and Android stores. Join Daley, Nick, David and Lee Havin’ A Laugh and a good old catch up with your host King Rebska. This interview is prior to the Official “Better Days” Album launch at the bull theatre on the 16th June so is your chance to hear the tracks before anyone else. Tickets for the album launch are still available from www.thebulltheatre.com priced at £12 or £15 on the door. Hurry because they’re selling fast. Thommo appeared last week promoting his forthcoming DVD and soundtrack release. 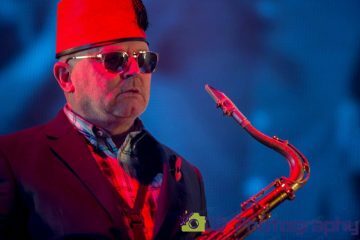 He begins by talking to Clive about his time in a detention centre, and the story of how his first saxophone was stolen before he got his hands on it, Clive jokingly cautioning him that he doesn’t need to answer any questions that might incriminate him, but then doubly laughing later about Karma, when Lee tells the story of his saxophone going missing on the Xfactor. “It was the original owner” jokes quick witted Clive. Lee also explains the effect his flying rigging harnesses had on his crown jewels, and insists he was properly dressed under his kilt at the Olympics, as Mr Anderson nervously trys to keep the conversation Radio 4 and not late night ITV! The film One Mans Madness is discussed, with Lee insisting on a plug! when they run out of time before retelling the much heard earthquake in Finsbury anecdote for the billionth time. Just before this issue was ready to go out, the complete track listing for the forthcoming new Silencerz album landed in our mailbox. 1. Invisible Man 2. Don Logan 3. Better Days 4. Having a laugh 5. Cally Road 6. Between the Devil & the deep blue sea 7. last bus. Next week, we’ll have a full review of the album and a competition to win a copy.